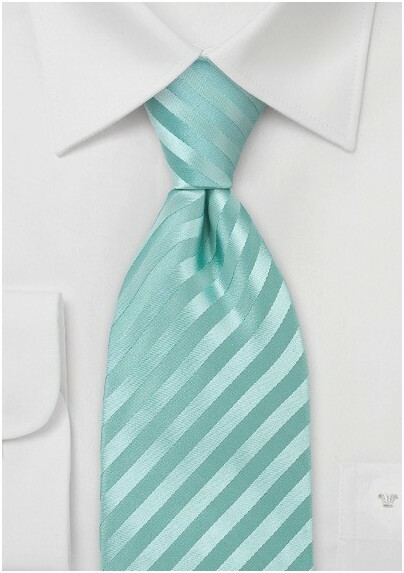 Coordinate your way to perfect summer fashion by accessorizing with this delightfully designed and hued striped necktie in soft, sorbet greens. The small scaled asymmetrical stripes shimmer and shine with a modern coolness. This seasonally savvy necktie is a signature design from the Parsley Luxury Collection and is crafted from one hundred percent premium silk. 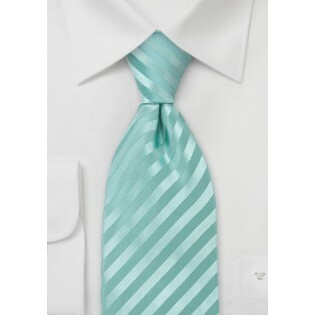 This tie is available in an assortment of other colors.